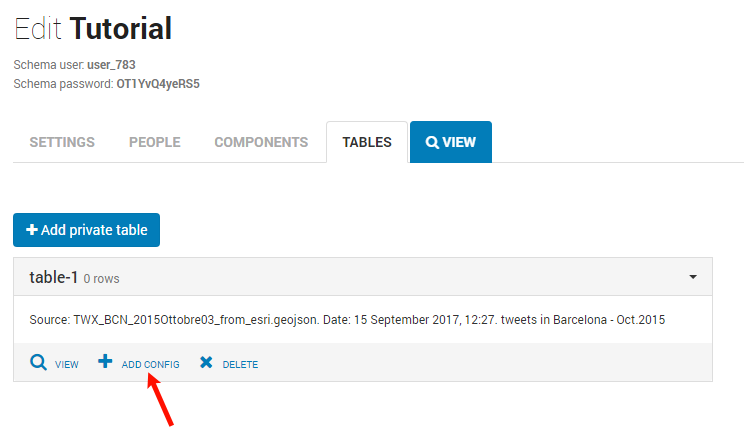 In order to configure the visualisation of a table, in the table section click on the arrow near the table name and click in the “+Add Config” button. Name: provide a name to the table configuration which could be easily understood by final users. This name will be the title of layers in the visualisation. Description: this field can be used to add a description to the layer. 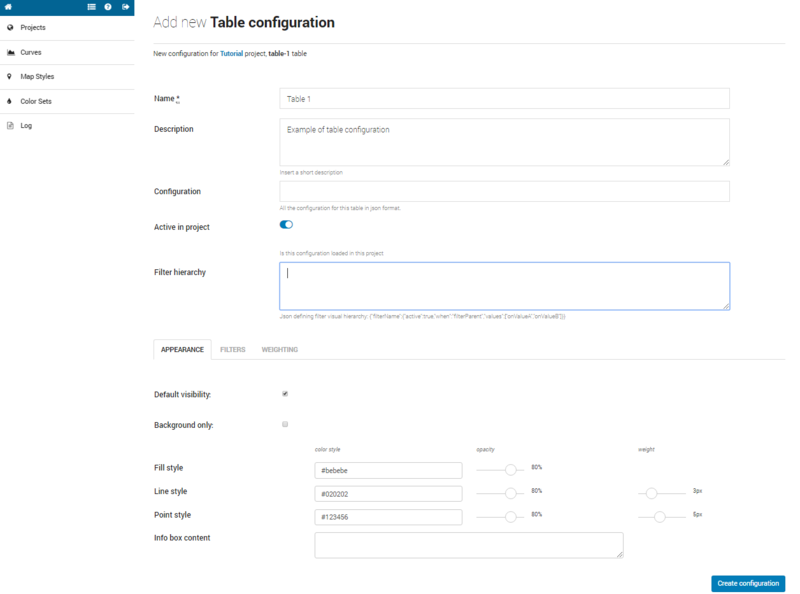 Configuration: for advanced users, this field can be used to copy and paste the same configuration from other projects. Filter Hierarchy: for advanced users, this field allows to create a hierarchy between filters.